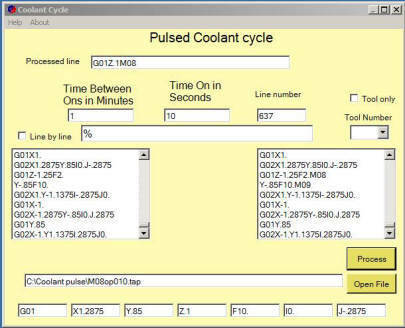 Coolant is turned on and off by the control by inserting M08 And M09 at intervals based on the machine distance traveled and programmed feet rate. No "misting" which has now been said to be hazardous. File is saved as selected file name with M08 in front. 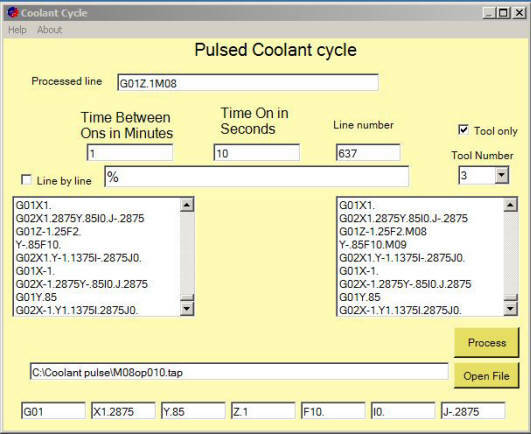 If multiple tools are processed, another M08 is added to file name.